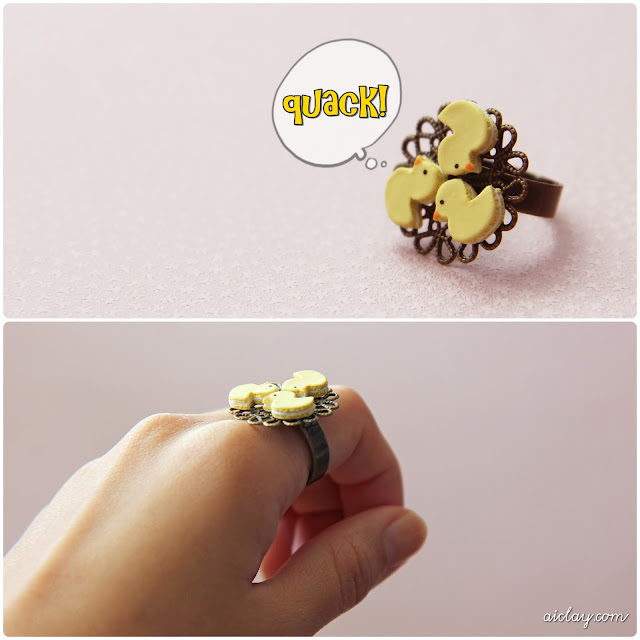 AiClay - a Haven of Miniature Food: How are you quacking this Friday? Looking at these little ducks make me think of picnics, ponds and yummy egg mayo sandwiches. I handsculpted the miniature duck macarons (yes they're macarons!) and made them into a ring. The ring is also in the store. I decided to get a little absurd with the name this time haha. Lastly, 2 more days left till I start drawing lots for the Gold Coast Giveaway! It is such a cheap thrill to draw the winning name haha. Head over to my previous entry and join now!